Hi guys, today's post won't be a review or anything like my usual blog posts. I've decided to give something back to those who have supported my blogging journey so far. I know it sounds corny but I just want to say thanks. Thanks for reading and thanks for commenting. Even if there's only a handful of you (it tends to feel that way), I am still very thankful and appreciative. Here's a small token of appreciation for you - one of three prizes can be yours. There's normally lots of rules to follow when entering a giveaway such as following, reblogging, retweeting, liking but that's unnecessary for this type of giveaway. To be eligible, all you need to do is comment below. But not just any comment will do... you have to ask me a questjen. It can be about anything and once I reply, that'll mean that your entry is valid. I've given you guys enough questjens of the week, so now it's your turn to give me one! What is your questjen for me? 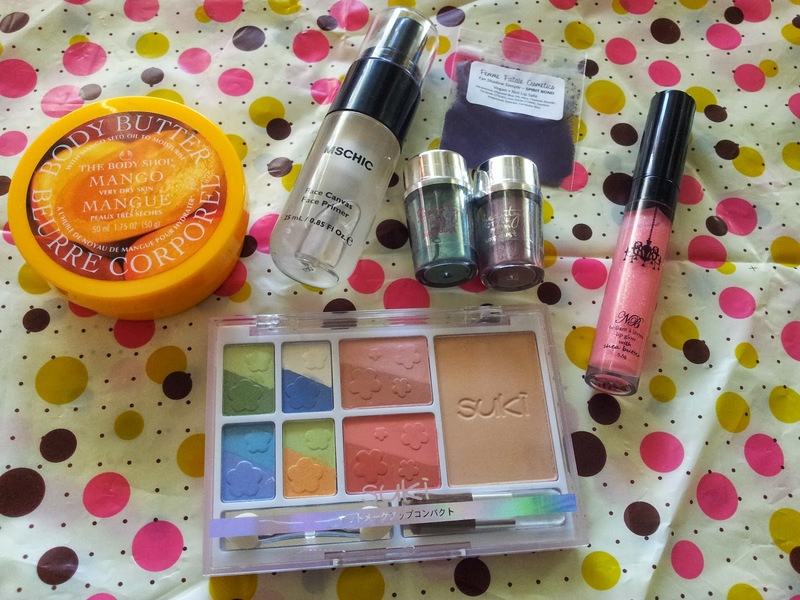 A total of 7 products in each prize, because we all know that 7 is a lucky number! In the comments below, you are able to specify which prize/s you would like. If not, I will assume that any three is fine for you. You know how I hold giveaways when I reach a milestone in followers? It hasn't happened to me in a while on GFC but on Bloglovin' I did reach 100 recently, hehe. Cheers for that! 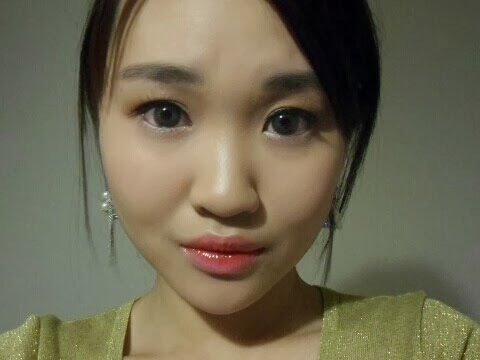 Hello, I have a makeup look to share which was inspired by the gorgeous Goo Hara from the K-pop girl group KARA in their latest music video 'Damaged Lady'. The first time I saw the teaser for this MV, my eyes were instantly drawn to Hara's amazing look with those stunning grey contacts and bold ombre lip. I have seen some people do a tutorial for this look and they did amazing jobs. 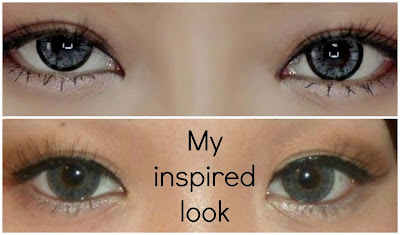 From seeing other people's take on this look, I felt inspired to recreate this look with a slight smokey eye. Just to reiterate, this is not a replication of her look which is why it looks nothing like it! I like being creative with looks that I see and changing them a bit to better suit my features (or make do with products that I already have). 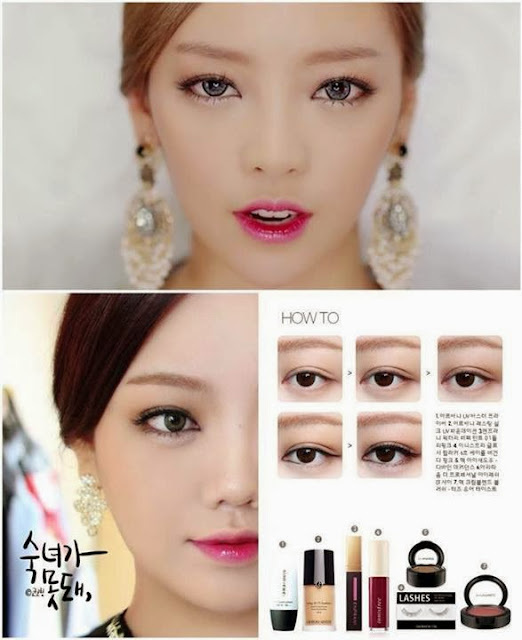 Plus Hara is such a doll and there's no way that I could look as good as her with the same makeup application! Our features are completely different and I'm not a pro with makeup replications/transformations (unlike Promise Phan on YouTube). The reason why I love featuring ELES cosmetics on my blog is because they're great quality and is a brand that I completely trust. 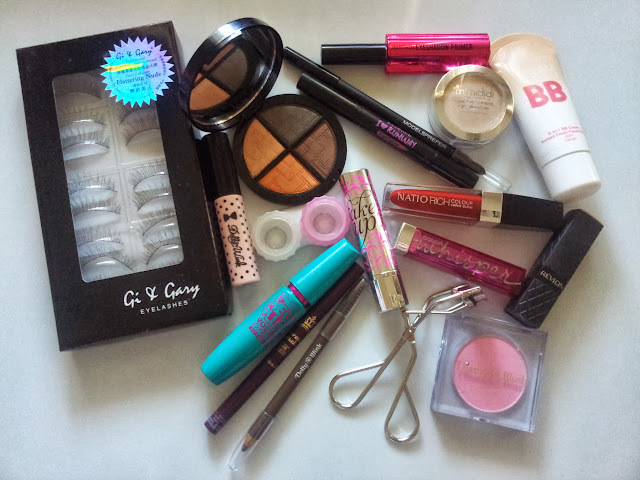 They are cruelty-free and the formula of all of their mineral makeup products are superb. 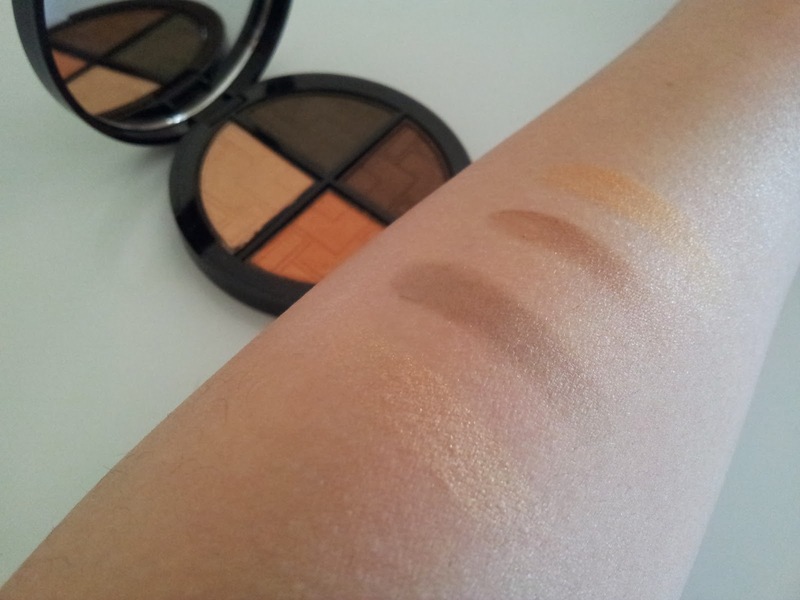 These eyeshadows are hypoallergenic, oil-free, talc-free, dye-free, and fragrance-free! 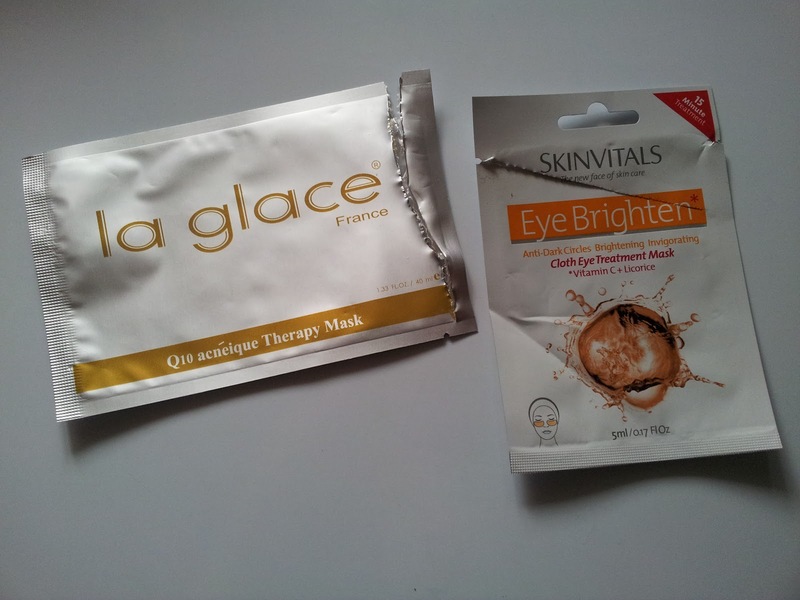 I love that they are also packed with vitamins A, C and E to condition and protect the delicate eye area so that you can be sure not to experience any irritations and that this product is safe to use on all skin types. The application is smooth and gives a velvety finish. They were a breeze to blend together to create the smokey look. With some eyeshadows, it is a must to wear eyeshadow primer underneath however with these ones, it wasn't necessary for me to wear primer because even with the swatches without primer underneath, they stayed on well. Also, I liked how they are shimmery but not too shimmery. The amount of shimmer is perfect for me and the brown shade was great to use not only as eyeshadow but also for contouring! The ombre lips was a bit of a challenge for me but it was quite a lot of fun to try out! 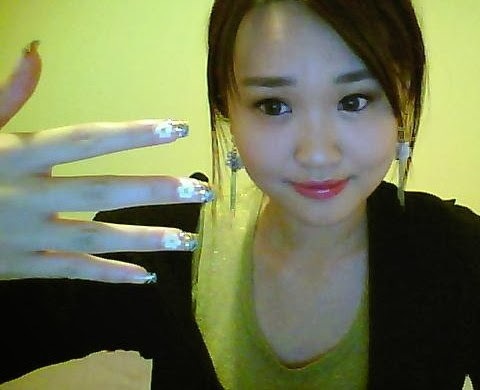 Overall I enjoyed recreating this look and I hope to see more K-pop artists with dazzling eye makeup. I've missed doing these inspired looks - it's been a while since I've see an artist's look that I've really admired. What did you think of my look? 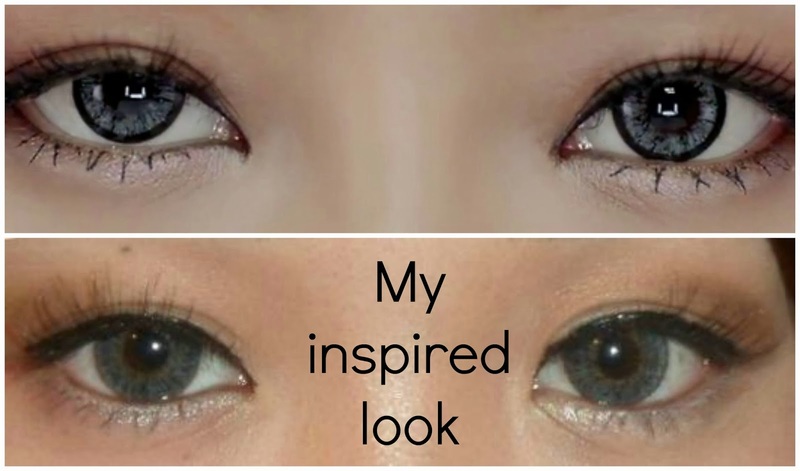 Do you like seeing inspired makeup looks? Disclaimer: ELES product provided for consideration. This is not a sponsored post. I am not affiliated with any of the companies/products mentioned. 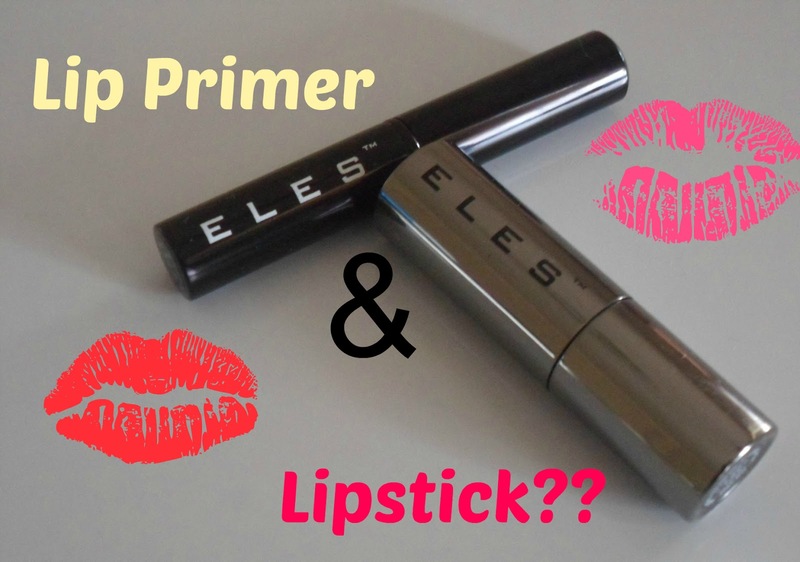 Do you need a Lip Primer for your Lipstick? Hey guys, this week I have a questjen to ask you - should you use a Lip Primer when wearing Lipstick? 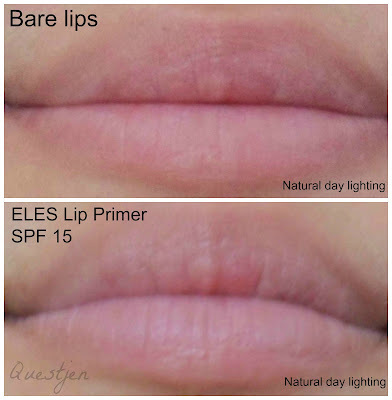 This post is going to be a swatch and review of an ELES Micro Bubble Lipstick and the ELES Pro Lip Primer SPF 15 where I will hopefully be able to give you an idea of whether a Lip Primer is beneficial and/or worth getting. 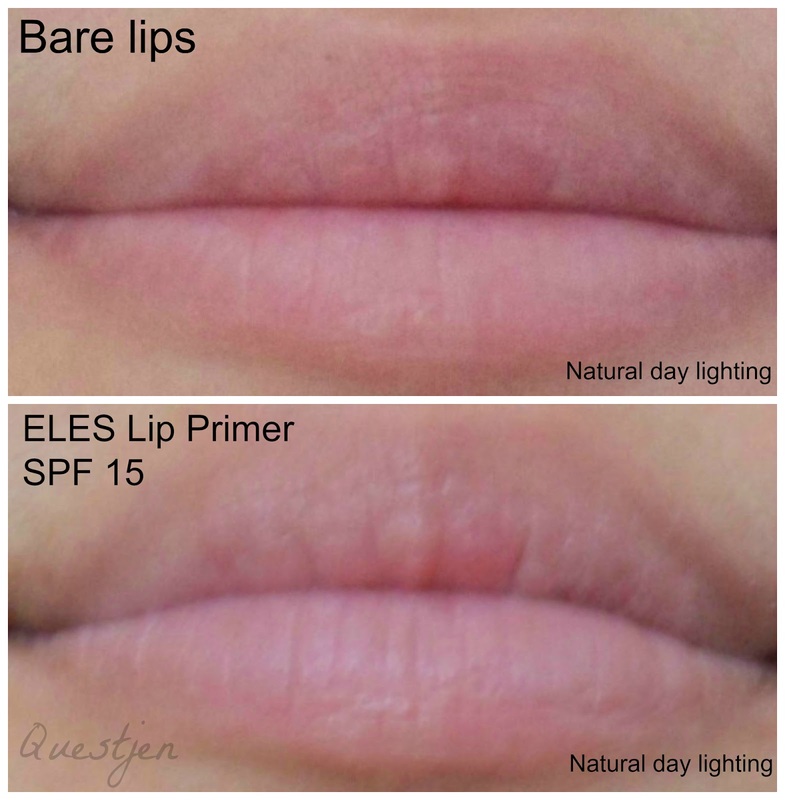 I hadn't actually heard of this product existing before I discovered the ELES Lip Primer. We know that face primers make foundation stay on longer and eyeshadow primers make eyeshadow crease-proof so... what exactly does lip primer do? There isn't too much of a difference between my bare lips and 'primed' lips but the primed lips are noticeably paler, which is good as it will make the lipstick appear more vibrant and true to its swatch (think of the lipstick being applied on a white piece of paper compared to a pale pink piece of paper). I found the texture and consistency to be quite similar to a stick concealer. It isn't smooth like lip balm and it's definitely not as moisturising but I don't see this as a bad thing. Primers tend to have a thick consistency (thicker than moisturiser at least) to assist with long-lasting adherence. However I personally would prefer for it to be a tad smoother as my lips are prone to dryness and cracking. I felt that this lip primer didn't plump, soften or smooth my lips as well as my usual lip balms. It did enhance my lipstick wear though - even after eating and drinking, my lips still had a tint of my lipstick shade. Of course, you can't expect a lip primer to make your lipstick stay on like a permanent marker but having the stain effect is good enough! This isn't common for all lipsticks and there are definitely some out there that completely disappear from the lips after having a meal or a drink! This is a gorgeous pink-red shade (just like its name - melon!) and totally suitable for the warmer weather we'll be experiencing in Australia very soon. I like the shiny packaging. 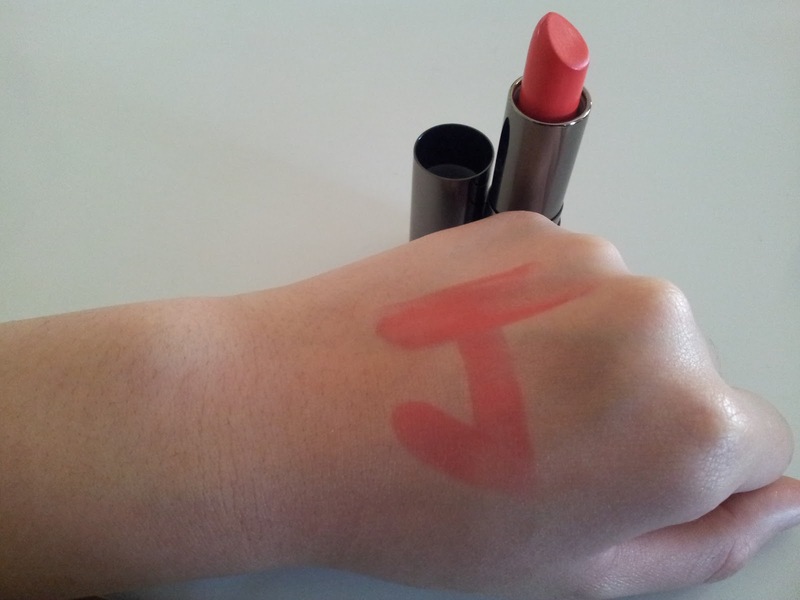 It's nicely pigmented and it smoothes onto my lips so well. Very creamy and moisturising indeed. I'm happy that there isn't any shimmer in the lipstick because I feel that with a shade like this, it's perfect as a colour on its own without the need for extra gloss or shimmer. It has a pleasant, sweet-like-honey scent which I really like! Knowing that it's packed with lots of good vitamins and anti-oxidants with no chemical 'nasties' is great and will give me an incentive to continue using it. An extremely safe lipstick to use! ELES Lip Primer + Lipstick wins! 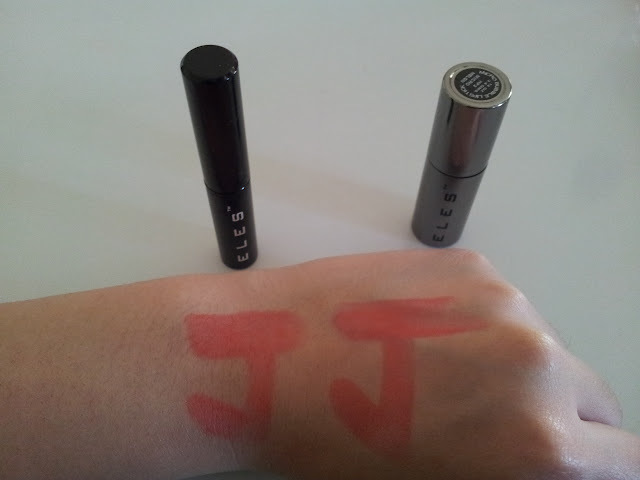 The ELES Micro Bubble lipstick on its own is amazing as it is but the combination of TWO amazing products = power couple! 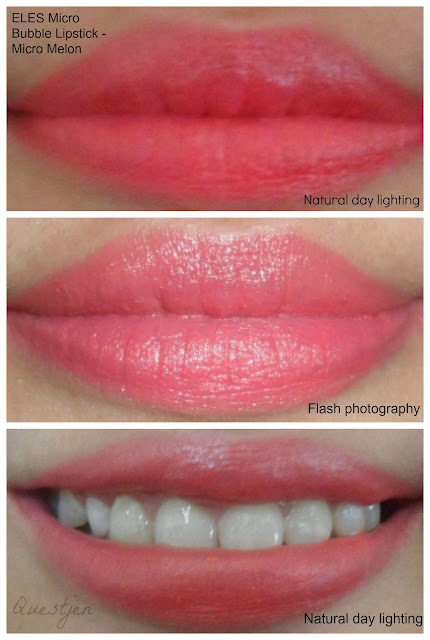 If your lipstick or lip stain gives you all of the above without a lip primer then that's awesome! This means that you may not necessarily need a lip primer but I'd highly recommend investing in one anyway for that extra SPF protection and for your lip product's shade to be more vibrant on your lips. Alternatively you could use concealer but wouldn't you rather use a product that is actually meant for your lips and could benefit you? If your lipstick or lip stain offers only a few of the above or none then it could be time to invest in new lip products... or try using a lip primer. This was what I found out about my eyeshadows... some would fade and crease very easily but with the help of applying eyeshadow primer underneath, it made all the difference in a good way. Seemed as though I was using a new and improved eyeshadow! Disclaimer: ELES products were provided for review and consideration purposes. This is not a sponsored post. All opinions stated are my own and are 100% honest. Ah, the first week of September has gone by and over here we've said good bye to winter and hello to spring! 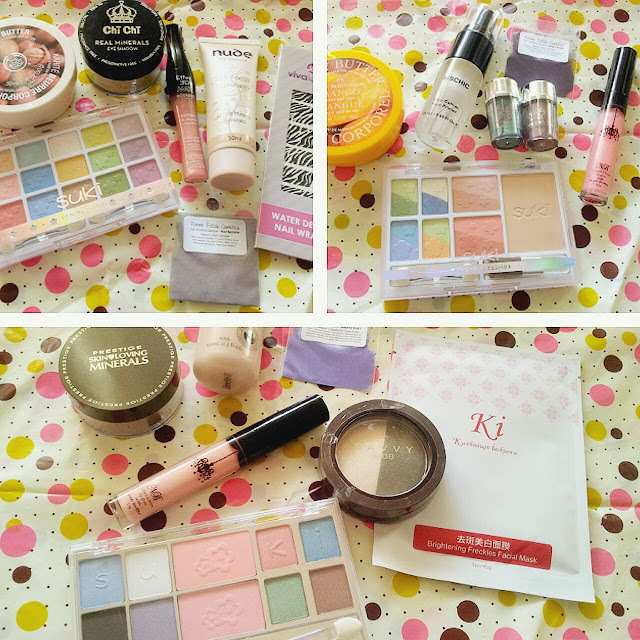 I felt that August flew by pretty quickly (as most months do for some reason) and after finishing one product in this month, I was motivated to finish some beauty/skincare products in August that were around three-quarters empty without 'wasting' them or using them excessively. Basically, it was a month where I realised how much stuff I had that were almost empty and sitting in my storage where I could have easily finished them and freed up space. Or samples that I could have used instead of leaving them unused/to expire. August was my month of finishing as many products as I could to allow me to write up an August empties blog post. And now I'm here doing just that! This is my first time writing an 'empties' blog post which is pretty exciting... and I am proud to say that I was able to finish.... 10 products this month! It's not heaps but it's definitely the most I've ever finished in a year let alone a single month haha. That's because I'm usually going onto a new product after one is just about to run out but never really finishing it. I don't know why I do that... maybe it's got something to do with hoarding? I think it's rare for anyone to finish a bottle of perfume, especially if the size is 50mL or more. My mum has a pretty big perfume collection (she loves getting new perfume) yet she has never finished a bottle and has only disposed old perfume. I have around 6 full-sized perfume bottles and this was the first one I've finished... and I plan to finish my others before I go and buy more perfume, because I don't really see the need to have so many (though I'll gladly accept them as gifts hehe). I've had this perfume since 2010 and I used it for school and uni as it has such a light, refreshing and floral scent that's perfect for daily use. I purchased it because it was on sale for about $20 and although I wouldn't say that it's amazing, it was still a joy to use. I'm happy to have finally finished it after 3 years, it's time to say good bye! Repurchase? Nope, because I like to try new perfumes instead of using the same one. Or unless it's the absolute best, which it isn't. Keep the packaging? 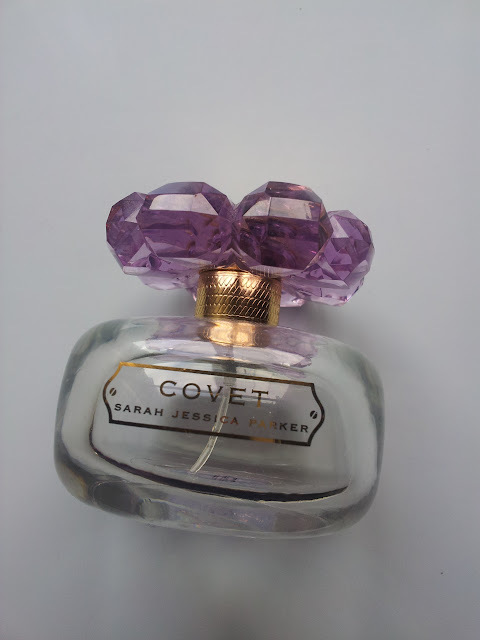 Yeah, why not :) It's a pretty purple bottle with the crystal-like flower lid! Plus it won't take up too much space in my cupboard, no problems. It's supposed to have a lid but it had a crack in it so I chucked it out. 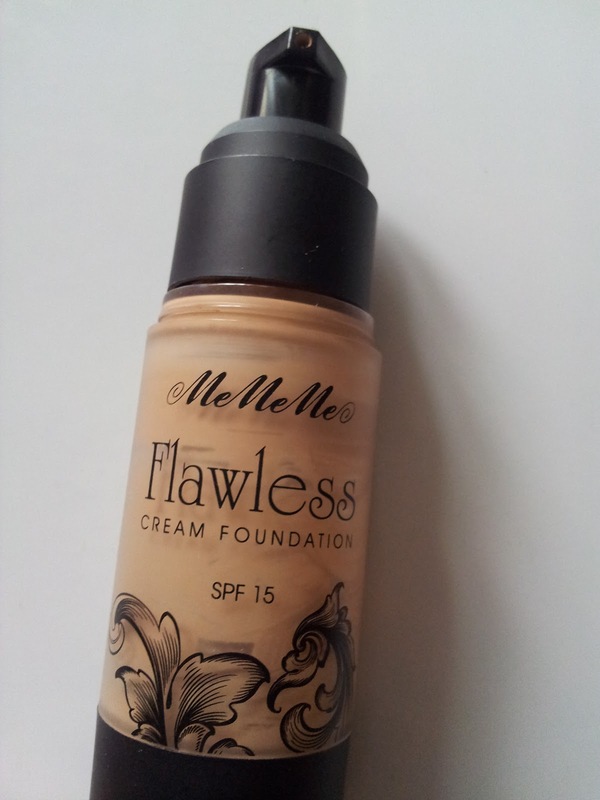 I've had this since April last year so it took me about a year and a half to finish this foundation. I didn't use it daily (I don't wear foundation all the time) but this was the foundation that I reached for the most. I received this in a small goodie bag at an ABBM event and I'm glad that I got the chance to try this foundation - it was a good colour match for me and really did give me that 'flawless' look! However by the end of the day my face wasn't left feeling as moisturised as it was at the beginning due to my dry areas being seen again. I guess that's what a cream foundation is - between a liquid and a matte foundation, thus not giving me enough moisture that I need for my dry skin. I ended up sticking a brush into it and scraped off the foundation on the sides! Keep the packaging? Haha, yep. 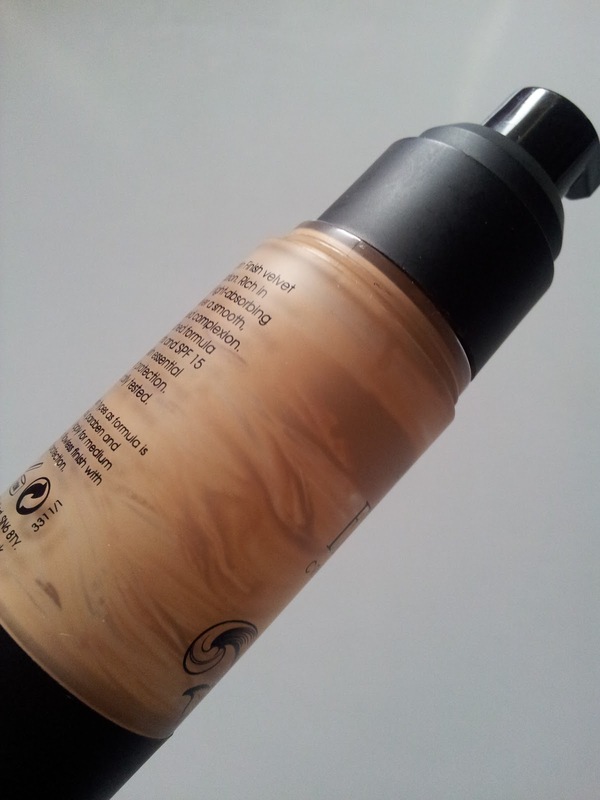 I've decided to fill it with my other foundation which is in a glass bottle as is poured out (the Revlon Colorstay one). I like the pump mechanism! These all had roughly a quarter of product left and I was eager to finish one which I've had for 2-3 years and one that had already expired! I know I could've chucked out the one that was expired but it seemed fine to me so I didn't bother. If you read my Maybelline NY Haul Post, you would have noticed that I bought a new bottle of this. 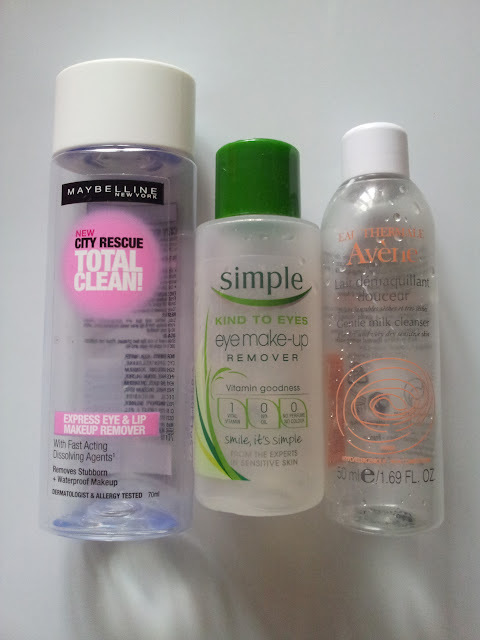 It's one of my favourite makeup removers and it's so cheap when it goes on sale for half price! I happened to finish this one in August and about a week later there was a 50% off sale so of course I grabbed one - such perfect timing. I think I've had this makeup remover for 6 months or maybe a little more than that, I don't quite remember when I purchased this xD I got through makeup removers pretty quickly I reckon! Repurchase? Yes! And I already did hehe. I like it a lot. This is the makeup remover that I've had for 2-3 years and I think it's the travel size version... I'm not quite sure. The reason for having this product for so long is because it's just not my favourite eye makeup remover or one that I'd use often or at all. It's not like the Maybelline one where it has a dual-phase (two layers) formula and so this very gently removes eye makeup. It's perfect for people with extremely sensitive skin (not me) because it doesn't irritate at all... in fact, it feels just like water. It removes eyeshadow and it claims to remove 'even waterproof makeup' but I don't think that's true at all... it couldn't remove my eyeliner or mascara. It required a lot of rubbing and in my opinion, I don't think that's suitable for someone with sensitive skin... all that pulling and tugging can't be good for delicate skin, right? Repurchase? No, but I would recommend it to people with extremely sensitive skin and need something as gentle as water to remove their eye makeup. This was a product I received in one of those monthly beauty boxes and I was happy about it because I had heard such lovely things about Avene but never had the chance to try their products. Their products are perfect for people with sensitive skin like me! It has a thin, creamy consistency and there are no exfoliating beads or anything potentially too rough for delicate skin. I reckon it could even be used on babies - that shows how gentle it is. It left my skin feeling nice and smooth but seeing as my skin's sensitivity is not all that high up, I am better suited to something that gently exfoliates to remove all impurities like dirt, oils, flaky skin and makeup. Repurchase? I'd consider it in the future but for now I'd like to try other brands and face cleansers that are suitable for sensitive skin. Keep the packaging? Nope, say hello to the bin! This is my second tube and it's taken me over a year (maybe two years) to finish this! I only use a tiny bit on my lips daily and I also use my Maybelline Baby Lips which means that I wasn't constantly and consistently using Lucas' Papaw Ointment. I always take this with me when I go travelling because it's multi-purpose as it's used for boils, burns, chafing, cuts, cracked skin, insect bites and more. It's an Australian product and I'm not sure if most people are familiar with it... anyway, it's fermented carica papaya, a fruit. Keep the packaging? What for? :P Seeya later! This was a sample that I received in the ABC (beauty conference) back in 2011 so I've had this for two years but only used it and finished it in August 2013! It's particularly used for dry areas such as the elbows, heels and the knees. Though I didn't really notice a 'firming effect', it was pleasant to use. I can't describe the scent except by saying that it's fruity but I don't know what type of fruit! Repurchase? 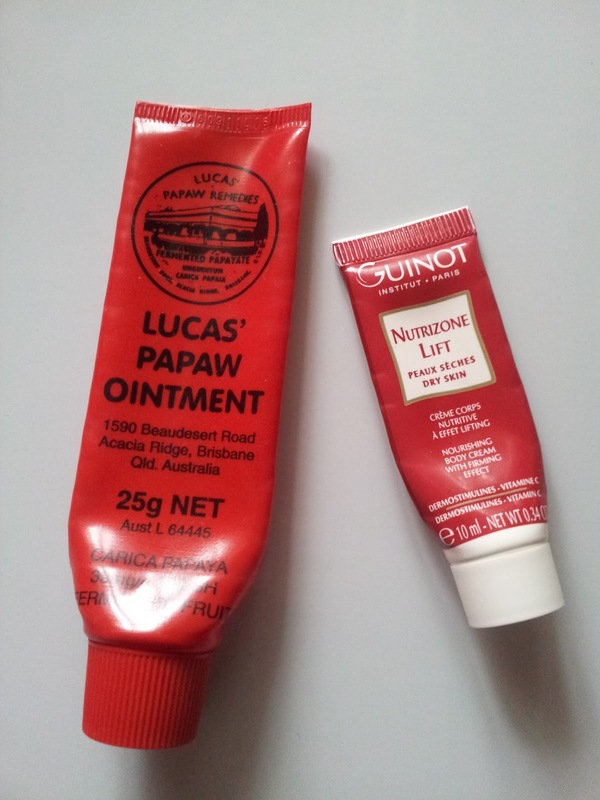 I have a feeling that Guinot products are pretty high-end for skincare products so I may pass for now. Keep the packaging? Unnecessary, bye! This was easily to finish hehe, I purchased a face cream from Sasa and as a freebie they gave me a pack of three of these Q10 acneique therapy masks. I don't have acne-prone skin but I decided to try this out anyway. After the 20 minutes of use that it suggested, I could feel my skin starting to become a little irritated so I washed my face right afterwards. In the end, this mask did nothing good for me... what a shame! I've got two left... if anyone wants one or both, let me know 'cause I have no use for them! Keep the packaging? Uh no! Repurchase? Likely to purchase this if I see it in the shops. It may not do a lot but I like how it feels on my under eye area. Keep the packaging? Maybe just so that I remember the name of this mask... so yes I probably will! I think this is a product that I use more than makeup remover or any other product that I own xD I always stock up on these when they're on sale and although Coles is already a 'cheaper than competitors' brands' brand, some of their stuff is better than their competitor brands! If you didn't know, Coles is an Australian supermarket and they have their own brand where their items are noticeably cheaper than other brands and have a 100% satisfied 100% money back guarantee. These makeup removal pads were good and I can't remember the price but they're definitely cheaper than the more well-known brands that produce these. 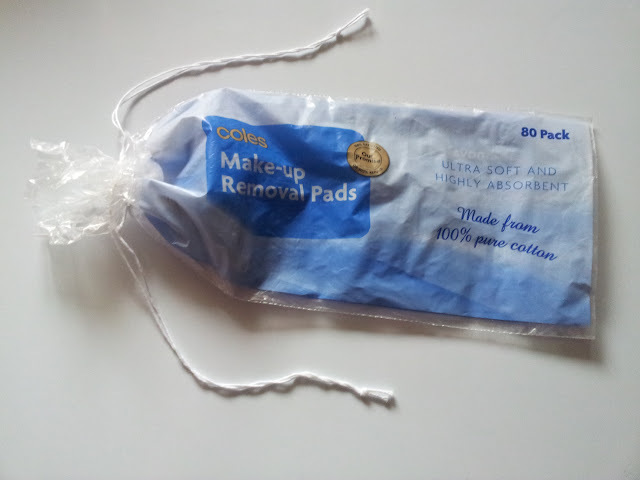 I found these better than the Swisspers ones because those ones had cotton wedged between the pad and when I removed my makeup with them, the cotton would come through and stick to my lashes! It was really annoying and the cotton would irritate my eyes. However these Coles ones didn't do that and were perfectly fine for removing makeup. 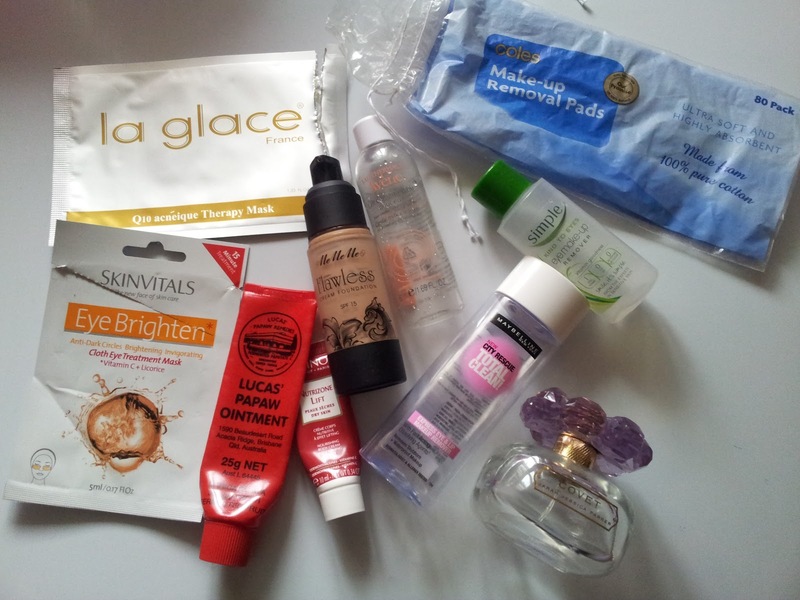 That's all of my August empties and my thoughts on each product. I really enjoyed writing this post and I hope it was enjoyable to read. Perhaps it's inspired you to finish off some products that you've had for years and/or are close to empty, or to start using products that you've had hidden in your drawers! What was the last product that you finished? And no, I'm not talking about food or drink! Must be beauty/skincare-related!